It started with two Canberra lads and a mutual love of gin. 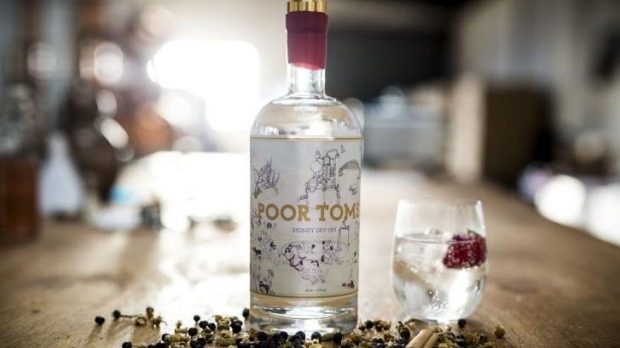 Now Jesse Kennedy and Griffin Blumer have turned that love into a crowdfunded microdistillery - Poor Toms Gin. Just a week after starting a Pozible campaign they've raised more than $30,000 and are frantically distilling new batches of gin to meet demand. It's part of the rise of the Australian gin, with small craft distilleries springing up around the country and some, such as Four Pillars in the Yarra Valley, winning big awards. Kennedy and Blumer have been friends since school in Canberra and both moved to Sydney for work - Blumer as an actor and Kennedy in finance. They loved gin and started making it in their share house in Marrickville. "We bought a little one litre still from Spain and did it on our kitchen table, putting bottles of vodka in and buying juniper berries from the local herb shop and distilling it," Blumer says. "But that got really expensive ... and we wanted to experiment." So they decided to follow their hearts, pooled their savings and raised a bit of money to buy a big copper still from Germany. They got an experienced distiller, Marcel Thompson, on board. And Poor Toms Sydney Dry Gin was born. It's named after a character from English folklore ("he's like this wandering lunatic") and also after both Blumer and Kennedy - their middle names are both Thomas. 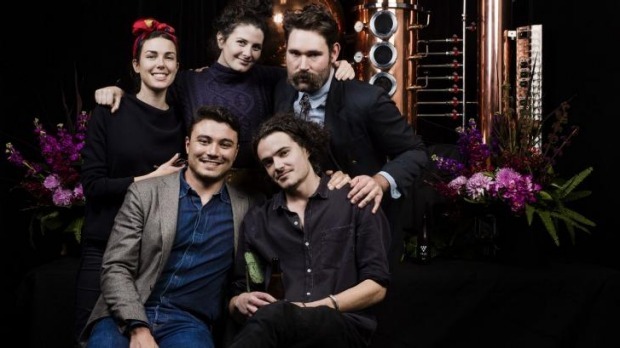 They started the Pozible campaign to raise funds and to sell the gin, which is made just around the corner from their Sydney home. "We were really shocked when it sold out in a few hours and so we quickly had to scramble to create a second batch," Blumer says. "Because it's exclusively through Pozible for the next month we can't sell any other way. It's been crazy. We had to move the whole production forward." Blumer describes the gin as having a clean, clear flavour with a coppery note from the still. "We wanted to use some whacky ingredients that people don't really use in gin, like freshly squeezed Granny Smith apples, so we juiced them and put that in, rather than the normal citrus," he says. They added lemon myrtle for extra citrus flavour and chamomile to bring out the apple notes and then added the "really whacky" ingredient - native strawberry gum. "It's a gum leaf that has the aroma of strawberry and it takes the gin to a floral, fresh, fruity delicate flavour profile which is unlike London dry gins which are usually spicy and citrussy," Blumer says. "It's still a dry gin so it's not sugary. It's got the essence of those sweet flavours. That's why we serve it with a strawberry in a G&T. That's when it starts working its magic." See pozible.com for Poor Toms Gin.